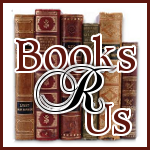 I want to welcome M.J. Rose to Books R Us. M.J. is the is the Author of The Hypnotist (The Reincarnationist, Book 3) She is presently touring the blogosphere on her first virtual book tour with Pump Up Your Book! Thanks for stopping by. Please visit M.J.'s website and check back on 9/2 for my review of this fascinating book. This is a wonderful guest post and a really interesting story. It piqued my interest in The Hypnotist, for sure. I think it would be a dream to live so close to MMoA, the Met, especially while growing up but at any time. I can't imagine how wonderful to be able to drop by the Met anytime you have some free time whether it's 15 minutes or 5 hours! And thank goodness a writer had this fascinating encounter with young Veronica and turned it into an exciting book! I cannot wait to read it.